An outdoor sign for business helps draw attention to your office and let people differentiate it from the competition. Since people often buy from those they have heard of before, having exterior signage can even help plant seeds of future sales by making people aware of your business. By acting as your silent salespersons, custom signs can be an effective tool to create the primary link between your potential customers and your business. No wonder that businesses are investing to get customized exterior signage to market and promote their services. This time, Citrus Sign Studio helped Base Consultants get outdoor signage for their new office. 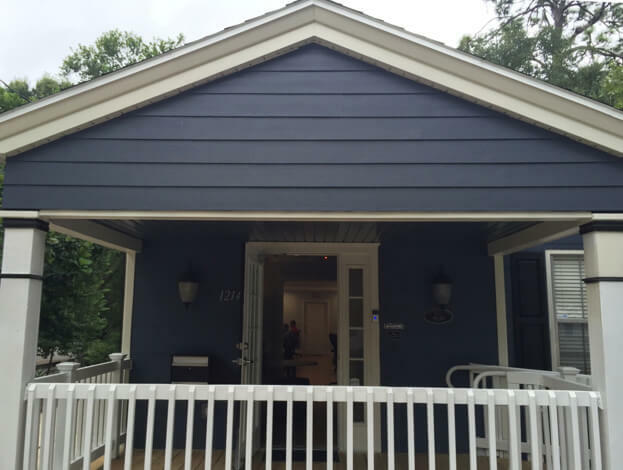 Base Consultants is a highly qualified construction management, structural engineering and parking consulting firm that blends the responsiveness and intimacy of a small firm with the experience of a huge establishment. Offering specialized services for environmental, architectural, transportation, civil, educational and recreational facilities, it’s driven by a goal to provide clients with innovative and creative solutions to tackle difficult challenges. 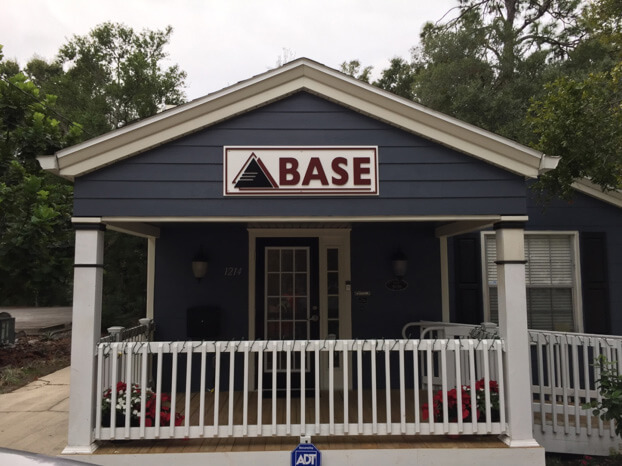 Having moved into a new office space in Orlando, Base Consultants needed an exterior signage to make its presence felt. Since the company didn’t have custom signs before, Citrus Sign Studio worked from scratch to create an impressive one for its new office. The first step was to decide whether the exterior signage would be building-mounted or ground-mounted. Since ground-mounted signs are more effective in grabbing the attention of passing vehicles and motorists, we decided to opt for building-mounted signage as our key goal was to tap into the prevalent foot traffic in the area. In the City of Orlando, outdoor signs for businesses have to adhere to and meet the stipulated ordinance guidelines. Citrus Sign Studio worked closely with the concerned authorities of the City of Orlando to ensure its exterior signage for Base Consultants was in line with such necessary guidelines. In the City of Orlando, outdoor signs for businesses have to adhere to and meet the stipulated ordinance guidelines. While crafting the custom sign’s design, we wanted to bring the innovative quotient of Base Consultants together with portraying its large project experience and small firm intimacy. At the same time, we also wanted the exterior signage to display the founding values and principles that drive this firm namely quality, client service, respect, integrity and reliability. So, the aim was to create an eye-catching exterior sign that packed a punch and was in perfect sync with our client’s business mission and vision. Having designed outdoor signs for businesses across industries, we chose to focus on the word “Base” of Base Consultants and put it beside the triangle shaped logo of the company together with a supporting line at the bottom to display the top-notch competence and reliability of the services on offer. By creating a new dimensional letter sign in contrasting colors of black and brown, we made sure the exterior signage mounted on the front side of the office showcased the quality and superior service offered by Base Consultants. At the same time, the custom sign also made sure that people passing by notice it and get interested in stepping inside the office, thus helping our client – Base Consultants generate some welcome business leads.